You are here: Home » Blogging » Condo? Co-Op? Apartment? Townhome? Loft? Condo? Co-Op? Apartment? Townhome? Loft? A co-op—or cooperative housing development —differs in that “owners” own shares in the corporation that owns the real estate development rather than owning an actual unit. Each shareholder has a vote in the real estate corporation and share ownership authorizes the occupancy of a specific unit. Typically, shareholders pay a “share” of the monthly expenses of the real estate corporation. 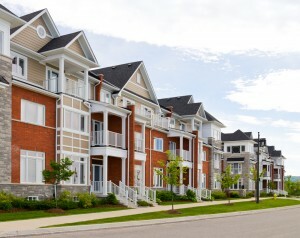 As with a condominium, cooperatives may be apartment-style units in a single building, townhomes or patio homes, single family homes, or even mobile homes. The legal term “cooperative” refers to the real estate ownership structure rather than the property type. A LOFT is basically a condo without any walls or with partial walls.